When you have oily skin, it seems as if it’s hard to pick the right products to deal with the greasiness. The trial and error method seems to take up too much of your time and nerves. We decided to make your life a little easier by doing the research and finding the best toner for oily skin. We reviewed hundreds of products and came up with five that we believe can benefit your oily skin. Amara Organics Facial Toner with Witch Hazel & Vitamin C – T​​​​​his 100 % organic toner allows your skin to become brighter and look more youthful. The natural ingredients, such as witch hazel, vitamin C, and Aloe Vera, remove the oiliness, shrink pores, and keep the skin looking fresh all day. The product has a light texture and a specific witch hazel smell. The toner comes with a nice price tag. 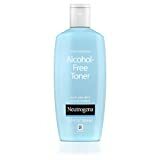 Ne﻿utrogen﻿a Alcohol And Oil-Free Toner – This oil- and alcohol-free toner can be used for all skin types, including oily skin. It gives your skin a fresh feeling without using any harsh ingredients. The toner allows the rest of the beauty products to be absorbed as a fast rate. This toner is great for people with a low budget. It helps the skin stay soft and bright all day long. Pure Bliss Vitamin C Toner - This lightly textured toner can shrink the pores and keep the oily skin mostly blemish- and breakout-free. It can deal with pigmentation and make the skin look and feel softer. The absence of the harsh ingredients and the presence of antioxidants make this toner a good choice for acne and inflammation prone skin. Leven R﻿﻿ose ﻿﻿Oran﻿ge Blossom Facial Toner – This 100% natural and organic toner has a wonderful orange blossom scent and a watery texture. The toner makes the skin feel smooth and moisturized. It can shrink large pores and deal with acne and other inflammation. The spritz attachment makes the toner easy to apply any time of the day. TruSkin Naturals Daily Facial Super Toner - This toner is 100% organic and contains glycolic acid and witch hazel that deal with oily skin. The product has a light texture and comes in a spray bottle for easy application. The toner leaves the skin feeling soft, smooth, and moisturized while reducing blackheads and breakouts. We took some time to create extensive reviews that we hope can help you find the best toner for oily skin that suits your tastes. The best part about this toner is the ingredients. This product is 100 % organic, which means you don’t have to worry about chemicals overly drying your skin. The main ingredient in this toner is witch hazel. It helps you deal with large pores and remove excess oil naturally. Vitamin C allows your skin to become brighter and more refined. Meanwhile, Aloe Vera has a soothing and an anti-inflammatory effect, which helps you fight with breakouts the oily skin is so much prone to. Glycolic acid provides a mild exfoliation effect and can help unclog pores to eliminate breakouts. However, it can cause increased sun sensitivity so a sunscreen should be used during the day. This toner is not scent-free. It smells like witch hazel. The sce﻿﻿n﻿﻿t is rather mild and shouldn’t be a nuisance to most people. The product comes in a spray form, so it’s very easy to use. All you have to do is spray it all over your face and neck and wait a couple of minutes for it to dry. Then you can proceed to apply other skincare products. This toner prepares the skin for better absorption of the serums and moisturizers. This product has a very light texture, which makes it pleasant to use in the morning and in the evening or even to brighten up the skin during the day. Competitive priceImproves absorption of other products. This toner is formulated to suit all skin types, but oily skin can benefit from it the most. The effect of the toner is impressive even though the texture and the ingredients are not harsh. This alcohol and oil-free toner can be a great solution for oily skin with clogged pores and breakouts. After using the toner, the oily skin feels fresh and clean while looking more youthful. You won’t experience any dryness or tautness. The toner has a floral smell and a somewhat sticky texture. However, it absorbs fast and makes the skin ready to receive other skincare products. Apply the toner to the cotton pad by tipping the bottle slowly; otherwise, plenty of the product can come out, which is a waste. The toner works gently and has a visible effect on the skin. The skin becomes fresher and brighter. Even if your skin feels moisturized after using the toner, a moisturizer is still required to maintain the skincare routine. Since this toner is not too harsh, it doesn’t bring overnight results. You’d have to use it on a regular basis to get a positive effect. The product has a cooling effect, which is enjoyable for people with irritated skin. We found that it makes the skin feel softer and brighter. This toner does a good job dealing with large pores. Besides shrinking the pores, it creates a softer and smoother looking skin. The toner allows the beauty care products to be absorbed more quickly. Don’t wait for the toner to dry before applying serums and moisturizers for better effect. The toner is packed with antioxidants, which have a huge variety of benefits. Besides fighting the inflammation the oily skin is prone to, the antioxidants have a rejuvenating effect. This product can do a good job balancing the pH level of your skin, which is disturbed by environmental effects and various beauty products you use. So the skin doesn’t try restoring the balance on its own and doesn’t produce extra oil. The toner contains Aloe Vera, which doesn’t just have an anti-inflammatory effect, it moisturizes the skin and makes it look fresher. The toner comes in a spray bottle, which makes it easy to apply to your face and neck. The texture is very light and enjoyable. While the manufacturer claims that the toner can eliminate breakouts, we found that the breakouts stay but the number of them diminishes. This toner is a good choice for sensitive skin since it doesn’t contain harsh ingredients and keeps the skin soft and moisturized. This 100 % natural orange blossom (Neroli) water can be a wonderful choice for people with oily and combination skin. It shrinks pores and brightens the skin naturally. Since the product is very mild yet effective, you can use it several times a day. This tone is a good choice for people who want to freshen up their skin during the day, not just in the morning or evening. The toner contains plenty of vitamin C, which makes the skin look fresher and more radiant. Meanwhile, it allows the pH balance to be restored to keep the skin from overproducing the oil. The toner has a healing and an antibacterial effect, which is a big advantage for people, who are prone to breakouts and inflammations. The product has a light floral scent, which is 100 % natural. The toner comes in a spray bottle, which makes it easy to apply. The texture is very light and feels almost like water. You can either spritz it directly onto your face and neck or on a cotton pad or makeup sponge. The toner leaves the skin feeling soft, moisturized, and ready to receive other skincare products. While this toner is mostly natural, it contains some ingredients, which are specifically used for oily skin, such as glycolic acid. The product comes in a spray bottle, which makes it easy to apply hands-free. You can spray some on during the day to add your skin some freshness. The witch hazel naturally shrinks large pores and takes away the excess oil, which makes the skin feel smooth and fresh. Aloe Vera soothes the inflamed skin and allows the toner to wield its anti-aging and anti-inflammatory properties. This toner does a good job when it comes to pigmentation. It deals with breakouts, blemishes and can even reduce the appearance of acne scars. Since the toner allows the pores to shrink, the number of blackheads shrinks accordingly. After application, the skin feels softer, smoother, and healthier. The toner has a mild moisturizing effect. Besides cleansing the face, this toner allows the rest of the beauty products to be absorbed faster and more effectively. The toner has a light texture, which makes it enjoyable to apply. You can use a cotton pad to do it or just spray it directly to your face or neck. Even if the above products don’t suit your tastes, you can take advantage of the below tips on how to pick the best toner for your needs. Since oily skin is often caused by a disturbed pH balance, finding a toner that can restore it can save the day. When the skin tries to restore the balance by itself, it may produce extra oil. Look for toners that can restore the pH balance. When you have oily skin, a sticky texture can make it feel as if the toner has a reverse effect. The best toners for oily skin have watery texture, which is pleasant to use at any time of the day. Oil-free is obvious. Meanwhile, alcohol seems to dry the skin, so isn’t it what you need? Not really. By drying the skin, it forces the glands to produce more oil, which in turn enhances your problem instead of removing it. If your toner has anti-inflammatory properties, it means it can be effective in fighting acne and other breakouts. Look for toners that contain natural antioxidants and Vitamin C.
If you are planning to apply serum and moisturizer after the toner, you need it to enhance the absorption properties of your skin. Look for toners with natural ingredients. Toners for oily skin usually have such ingredients as witch hazel and glycolic acid that wick away the oil. You might also want to consider toners with AHAs and salicylic acid to fight acne. The scent may be the deciding factor in choosing the toner for your face. Toners with strong smells might have harsh ingredients that can cause skin irritation. The best toners for oily skin are scent free or mildly scented. After reviewing the best toners for oily skin, we came up with a clear winner. 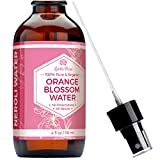 It is Amara Organi﻿cs Facial Toner with Witch Hazel & Vitamin C.
It has a set of natural ingredients that deal with inflammation, oily residue, and breakouts. Meanwhile, this toner has impressive properties that can help your skin absorb the rest of the beauty products. The toner comes with a reasonable price tag and a spray bottle to make the application easier. It has a light texture and doesn’t contain oil or alcohol. While this product seems the best choice for us, it might not be the perfect toner for your oily skin. We hope the information we listed above can help you make the right decision. Organifi’s Green Juice Reviews, Is It Worth It?